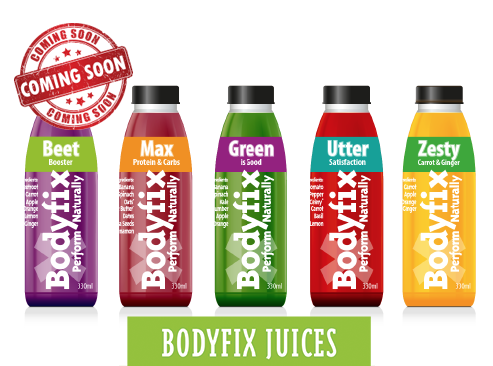 We are delighted to announce our new Body Fix Juice & Smoothie range will be launching shortly. Over the past few months we have been working tirelessly to formulate a range of products that will produce the necessary balance of nutrients, vitamins and taste in our customised nourishment packs and performance drinks. Keep an eye on our FB page for our official launch and we look forward to providing you with good health in the future.